No, this post is not about a 2015 version of the 80’s band, Flock of Seagulls. Nor, is it really about a flock of geese (lovingly referred to as Sky Carp by my friend Lance). 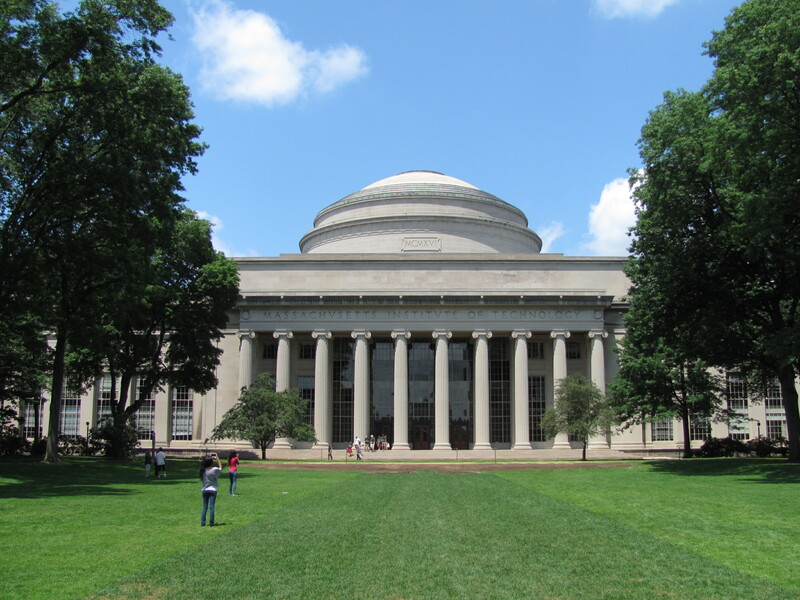 This post is really about the lessons I learned while attending “Transforming Your Leadership Strategy” conducted by MIT Sloan Executive Education. I often joke that I feel smarter just by stepping on campus here in Cambridge. But, it really is no joke, I really do gain new insights each and every time I attend one of the classes here. I believe what makes these courses unique and extremely valuable are the students themselves. The diversity of the participants is incredible. The countries and therefore the cultures represented included Saudi Arabia, Turkey, United Kingdom, Greece, Spain, Ghana, France, Nigeria, Canada, Denmark, Brazil, and, of course, the United States. The industries represented ranged from NGO’s, government agencies, banking, retail, financial, Army, and education (and many others). To be able to gather with these 60 professionals and discuss leadership was indeed a privilege. Professor Deborah Ancona led the group through a series of interactive lectures and exercises over the course of two days. She use an unique approach by varying the sizes of the small group activities from two to five, with the stipulation that for each new exercise you had to group with different people. The goal was to meet and speak with everyone in the class. I lost track, but I think I came pretty close to achieving that goal (a pretty amazing feat for an introvert!). Lesson Number 1: Leadership is Personal – this was the first notation in my journal, but it probably struck me the most. You can take dozens of leadership classes, you can read thousands of books, you can spend hundreds of hours with mentors, but when it comes right down to it, Leadership is Personal…there are no best practices. Sure, there are techniques, but just as every person is unique, every leader is unique. You have your own strengths and your own weakness. Harness them to lead. Our CEO, Jim McClelland, often says “Accentuate your strengths and make your Weaknesses irrelevant”. Lesson Number 2: The Bystander helps put things in context – Professor Ancona led us through the four roles of a team: The Mover – the person that suggests an action; The Follower – the person that supports the action; The Opposer – the person that pushes back on the idea for action; and The Bystander – the person that provides context, the big picture and perspective. (Li, I now know what you meant when I asked “Why do I need to be in every meeting” and you responded “You help put things in context and provide the big picture”). Lesson Number 3: Don’t brick in your teams – teams that are internally focused on norms, team dynamics, and tasks are are only half right. X-Teams (if you don’t take the class, at least read the book) are teams that are networked to others within the organization and outside the organization. By reaching outside the team, the resulting product (whatever the product the team is tasked with producing) is better. Leveraging expertise outside the group when sensemaking (again…take THE CLASS) provides a richer context. Reaching up within the organization and engaging in the politics of the organization is essential for success, as is task coordination across all of the players in the project. Action Number 1: When in meetings, assess the dynamics of the conversation and make sure that all four roles are represented. If one or more of the roles are not equally represented, I will step in and assume that role, or encourage others to assume that role. For example, if no one is The Opposer, I will suggest to the team that we spend some time discussing why the idea for action WON’T work. Action Number 2: Encourage everyone on our team to “get out”, go “be in the business”, walk a mile in our mission partners’ shoes (I hate the term end-user, I prefer business partner, or mission partner). Not only will that help with sensemaking, it will enable others in the group to play the Bystander role and set context and perspective. Action Number 3: Review our previous and on-going projects and identify areas where we may have struggled. Map them against the 4 Capabilities of a Leader (Visioning, Relating, Inventing, and Sensemaking) to see the areas for improvement. Was the vision not clear? Did we not engage the stakeholders? Did the actions not match up with the goal? Did we not spend enough time sensemaking? There you have it! As I mentioned in one of my LinkedIn posts, you are all now my accountability partners. Follow up! Make sure I am executing the actions! Now, about those Sky Carp, er, uh, I mean geese. 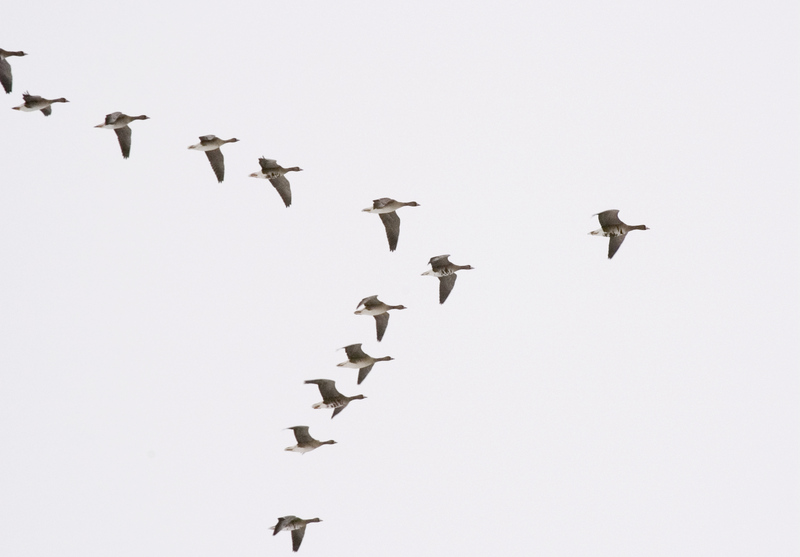 What leadership lessons CAN you learn from a flock of geese? Leadership is Distributed…to lead, sometimes you follow and let others lead. Watch a flock of geese fly over and you will see the goose out front, drop out of formation, a new goose take the lead, the former leader fall back into the formation. Distributed decision making means sometimes the leader becomes the follower. It was mid-November. It was a day of firsts. First time to ever attend a Catholic Funeral Mass. First time to be given an Easter Egg at a funeral service of any kind. First time ever seeing someone hand out money at a funeral. First time seeing someone deliver a eulogy while wearing rabbit ears. And, first time taking a photo during a funeral service (hey, if you saw someone delivering a eulogy while wearing rabbit ears, you would have taken a photo too!). I knew the service was going to be different before I even arrived. This was, after all the funeral for my my dear friend’s mother…just 15 months after my own mother’s passing. I wasn’t confident I would even be able to make it through. But, I had to make it through…for him. As the service began, I was initially struck by how little I knew about my friend of twenty years. Were these things I knew and and forgotten? Were these things that went in one ear and out the other? Or were these things I never knew in the first place? I seemed to remember he had siblings. Did I remember there was one brother and one sister? I seemed to remember his father had passed many years before. Did I remember he was paraplegic? Some friend I was. One by one family members and friends made their way to the front of the church. As they spoke a picture was painted, a picture of a mother, a friend, a teacher, a devoted parishioner. There was the daughter who spoke of a mother who taught her what it means to be a lady; the son who read the story of his mother’s life in her own words from a letter discovered among her belongings; the lifelong friend who spoke of schoolmates who had been best friends and co-workers for a lifetime. And then…and then there was my friend. “OK, everyone we are going to play a game! Everyone has to listen, and there are going to be rules!,” he shouted as he approached the microphone…wearing pink rabbit ears. He then told the story of the infamous “Cuffel Easter Egg Hunt”. He started by asking who had even heard of the Egg Hunt. Of the 90+ people there, most everyone raised their hand. “Who has participated in the Easter Egg Hunt?” Very few hands were lowered. He went on to explain the rules of the Hunt. There were 92 eggs hidden (90 this year and 2 left over from last year that were never found). Inside each egg was, not candy, but a number. After all the eggs had been found, his mom would call out numbers. This would continue until all 92 numbers had been called. Prizes ranged from 5 cents to twenty dollars to a “Happy Easter” greeting. He then went on to talk of his mother. The lessons he learned from her, her love of games. He talked of her spirituality, her unconditional love, her compassion for others, her selflessness. As I sat there, I realized I knew more about my friend’s family than I thought. Mrs. Cuffel, I never knew you, we never met. I have known your son for over twenty years. After having attended the celebration of your life, after hearing the stories, sharing in the laughs, the smiles and the tears, I realized, through your son, I DO know you. You raised a wonderful family. You raised a wonderful man. Spiritual, compassionate, a great friend. You should be proud. Dennis, I love you brother. Have a Happy Easter! Interested in IT and the CIO Role? Check out my series “The CIO is Dead! Long live the CIO” on Intel’s IT Peer Network. It was a cold, gray January day. The wind picked up the dusting of snow from the ground and flung it into their faces, stinging like needles. Tears froze to wind burned cheeks. The casket was slowly lowered into the frozen ground. A lone bugler played taps. Slowly, one by one, the people who had gathered, made their way down the 26 steps, down the long hill, and out of the cemetery until a lone figure remained. He stood motionless. His gaze locked on the hole before him. Tears stained his ruddy cheeks. His long coat flapped in the wind. His lips moved as if talking. Was he saying goodbye? Was he saying a prayer? Was he saying words of forgiveness to his now dead friend? Theodore Roosevelt, the 26th President of the United States, died in the early hours of January 6, 1919. Now, two short days later, William Howard Taft, the 27th President of the United States, stood over his grave, weeping. Slowly he gathered himself, blinked away tears, and trudged down the pathway. Once dear friends and allies, the men had not spoken in the last seven years. Taft served as Roosevelt’s Vice President. Hand-picked by Roosevelt to succeed him as President. During his term of presidency, disagreements arose between the two men. Roosevelt, then out of politics began to counter Taft in the press. Roosevelt, still popular with many, publicly lambasted Taft. The chasm between the two former friends widen as Roosevelt decided to run against Taft for the Republican nomination in 1912. The break became insurmountable when, after losing the nomination to Taft, Roosevelt decided to run as a third party candidate, essentially splitting the vote and giving the Presidency to Woodrow Wilson. Roosevelt shut Taft out of his life with hardly a second thought. Had Taft died first, would Roosevelt stood over his grave? 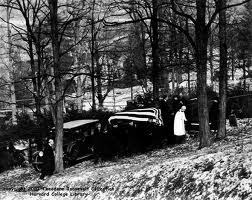 Yet, Taft made his way graveside that cold day in January. Later, in a letter to Edith Roosevelt, he would write, “I loved him always and cherish his memory.” A love and a friendship that survived, at least for Taft, despite the chasm created by words and deeds. Reflecting on the relationship of Roosevelt and Taft really causes reflection on my own relationships. Is there someone with whom such a rift is present? Will someone be standing over my grave saying their peace to me or their god? Or, will I be standing over someone’s grave doing the same? It’s not hard to imagine in a lifetime of relationships that we have all been Taft and we have all been Roosevelt. What would you say on that cold wintry day? If you were aware of such an injured relationship, would you try to repair it before the end? When I first heard the story, my mind immediately leapt to my sister. Our relationship had been fractured for many years. Incidents, actions, and words had created schism between us that I saw no hope of ever closing. At times it has felt like the Grand Canyon. However, in the last year we have started, with the help of my wife and my sister’s husband, we have begun to build a bridge. Over time, with continued conversation and understanding, the bridge will be fortified. It isn’t quite a Taft-Roosevelt moment, but it very well could have been. As I think back over my professional life and reflect on the relationships formed there. Over the years I have had to have many of those “life altering conversations”, either because of downsizing, performance issues, or the dreaded “the company has outgrown you”. I tried to treat each person with respect, dignity and compassion. Some of those conversations were with colleagues that I considered friends. One such friendship survived the downsizing conversation at two different companies (yes the friendship survived, but I am guessing he won’t come work for me again!). Another relocated his family to accept a job offer from me and a year later we had to have the downsizing conversation. Amazingly to me, that friendship survived as well. The one relationship that comes the closest to a Taft-Roosevelt relationship (and I am mortified to say, I was the “Roosevelt” in this situation) was with a friend. She and I had worked together for almost to a decade. During this time, we had become very close and developed a deep caring for each other. I can honestly say, I loved her (not in a romantic way, mind you). We shared many of life’s trials, tribulations, and celebrations. As my career progressed and I started moving in different circles, we grew apart. Still working for the same company, but no longer interacting on a daily basis. Some of it was the natural outcome of no longer working together on the same projects, but some of it was intentional on my part to “distance the relationship” as I first became her boss, then her boss’ boss, then her…well you get the idea. Years passed. Then…then she got sick. Very sick. Dying sick. The day I went to visit her in the hospital, no one was with her. Her husband, must have stepped out. The nurses were off doing their nursing-thing with other patients. It was just she and I. The only sound in the room came from the machines attached to her. She was in the final stages and was not conscious. I stood by her bed, stroked her hair, and told my friend I loved her. Did she hear me? Did she know? I was too late. be learned from the lone figure alongside the grave? Perhaps the lesson is to value the person, value the relationship, even when delivering bad news, or even when circumstances pull you apart. Lead from a position of empathy for the impact your words and deeds have on those around you. Perhaps the lesson is the old adage “you can be friendly, but you can’t be friends” just isn’t true. If anything you read here or in other posts strikes a chord, I would love to hear from you. Leave a comment and let me know your thoughts! Find me on LinkedIn. Read my Posts on business and business relationships. OK, before you movie buffs tell me “Marty McFly never met Theodore Roosevelt, much less paddle a river with anyone!” Keep your pants on for a minute, I can explain. For those of you who have lived in a cave for the last 25 years, Marty McFly is the lead character in the movie trilogy “Back to the Future”. Marty is transported back in time in a Delorean from 1985 to 1955. (Holy crap, do you realize in Back to the Future II, Marty travels 30 years into the future to 2015, that, my friends, is less than six months away!) While in 1955, Marty changes the course of history and his life, by inadvertently preventing his mom and dad from having their first kiss, and interrupting their density (sic). He then spends the rest of the movie trying to fix history before (his) time runs out. That moment, that kiss, was an “event angle”, a moment in time where you and you alone stand at a crossroads, faced with a decision, life will be dramatically different depending on the choice you make at that moment. Even without Marty’s intercession, George could have chickened out and never kissed Lorraine. Lorraine could have slapped him for an unwanted advance. We are all faced with these “event angles” in our lives, major decision points that present themselves to us. This might be a marriage, a divorce, birth of a child, death of spouse, a new job, or perhaps a termination from a job. The decisions we make at these times say a lot about who we are as people, and who we are as leaders. Teddy Roosevelt was faced with such an “event angle” in 1912 (no it did not involve a kiss!). He had just lost the presidential election to Woodrow Wilson (by a large margin I might add). He was quoted as saying that defeat was either Bull Run or Waterloo, only time would tell. Interesting choice of words. Bull Run one of the earliest battles of the Civil War and Waterloo, the war that brought an end to Napoleon’s rein. Two diverging meanings. The beginning of a long struggle, or the end of power. I think the most telling part of Roosevelt’s quote, was “only time will tell”. He was giving up, he was leaving it up to fate. Gone was the bravado he was so famous for exhibiting, he was…defeated. in 1908. Taft, his chosen successor, had won the election. Roosevelt, now an international rock star went on an extended tour of Europe. Taft, however, was not Roosevelt. Roosevelt began to disagree publicly with Taft’s policies. As election time drew near, he began to contemplate another presidential run, eventually throwing his hat in the ring for the Republican Nomination and destroying his friendship with Taft in the process. Taft prevailed. Roosevelt could have seen the signs, instead he chose to run as a 3rd party candidate, in essence splitting the vote and giving the election to Wilson. Couldn’t he see this coming? Didn’t he see his popularity had waned during his European Tour? Was he so filled with hubris that he felt he could not be beat? And, what of his relationship with Taft. They had been very close. They would never speak again. What can we learn from Roosevelt? What can learn from McFly? Many times in life, we will find ourselves at a crossroads, at an “event angle”. Rarely does life put us there at random. Usually we are there because of decisions and actions we made previously. While we cannot predict the future, we should consider the future consequences when plotting our courses. Had Marty not gone to meet Doc in 1985, he would not have been transported back to 1955 and changed the course of history. Had Roosevelt not decided to run for another term, he would not have destroyed his friendship, Wilson might not have won the election, and who knows the impact Roosevelt could have had in Europe as the world plummeted towards war. We must also recognize “event angles” for what they are, major decisions that will change the course of our businesses and even our lives. We cannot do as Roosevelt did and “let time tell”. What if Roosevelt had seen this loss as an opportunity, dare I say, a victory? When we are faced with “event angles”, we can choose the way those decisions impact us. Even if the “event angle” is forced up us by life (divorce, death of a loved one, termination of a job), we can choose how we react to those events. We can take the path of Roosevelt and give up in the face of defeat, or we can choose to live on, lead on, and to make an impact. Now, if you will excuse me, I’m going to grab some popcorn, my best gal and watch “Back to the Future”…again! A couple years ago I wrote a short eBook titled “Everything I Learned about Leadership…I Learned from Lewis and Clark“. Well, guess what? It was a lie! As the dedication in the book declares, I really learned about leadership from my dad! 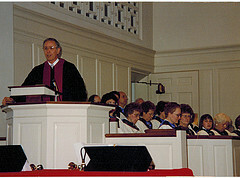 Dad spent the majority of his career as an American Baptist minister, later taking roles in denomination leadership. What this meant was, that as a kid, I spent a LOT of time in church and a LOT of time listening to him preach. Think about it…18 years, give or take…Sunday morning service, Sunday night service, Wednesday service…and all the special services like Maundy Thursday, Good Friday, and Christmas Eve. A conservative estimate says it was over 2,000 sermons! Today, almost 40 years since he was last my pastor and probably 10 to 15 years since I have heard him preach, I can remember many (ok not all 2,000, but many) of them. Why? or better yet, how? I can’t remember what I had for breakfast this morning, but I can remember the time he had one of the drollest members of the congregation walk up and eat an apple, leaving the core on the alter during “pledge” Sunday, or when some of the youth stood up and questioned him in the middle of a sermon (planned as a part of youth Sunday of course), or the many times, he would take on a persona of a character from the bible…Peter and Paul being the most memorable or the old lady who proclaimed “You ain’t e’er gonna shroud that light, eer ya?” as an adult lesson of the children’s song “This Little Light of Mine”, or , or even the time he stopped mid-sentence and asked my mother to go to his office and get the copy of his sermon because he’d lost his train of thought and his notes weren’t helping (he STILL says this was not planned). Why do I remember them? I can hear you saying, “Oh sure, you remember those, they had memorable moments, something that set them apart”. Of course they did, I guess that’s the point. He was (is) a master at creating a visualization through a gesture or an action, some way of saying “This is important! Pay attention!” When he got out from behind the podium, I would (the whole congregation would) sit up and take notice. It was the energy and forcefulness (not in a hell-fire and brimstone sort of way, mind you), but in a way to capture all of our senses. It might have been as simple as pacing across the front of the church, or as in the examples above something even more captivating. As I reflect on this now, my guess is many of the gestures just became a natural part of his delivery when he wanted to make a point, still others were very rehearsed and planned. 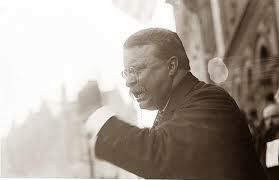 Like my dad, Roosevelt was a master at making a point through a gesture. Do an image search on Google for theodore roosevelt speaking and you will find hundreds of pictures but you would be very hard pressed to find any of him standing still behind a lectern. You will see him teeth bared, leaning forward, fist pounding in hand, or arms spread wide. Some of these were very much thought out, others were as natural to him as speaking itself. The audience was captivated, he was talking with them (not TO them), he was their voice. Roosevelt once declared “I’m am not public opinion, I am the public”, a bold statement certainly, but at the height of his presidency he was absolutely correct. For me, I inherited my dad’s propensity to wander away from the lectern to make a point, to engage with my listeners. Even during my monthly staff meetings I stand so I can move around. During my exploration of #RooseveltRiver, Dan challenged me to think about times or messages when I should break from the natural, instinctive gestures to make the point even more impactful. Recently, I had the distinct privilege to speak at a high school graduation (future post alert!) as I thought about my words and my delivery, I realized this was one of the times Dan was referring to. What I said was irrelevant. It was not about the message. It was about the graduates, their families and their celebration. I delivered my short remarks passionately, yet standing still behind the lectern. Think about your own delivery. How do you emphasize your points? When you are presenting to your team, the board or a larger audience is your point made by some instinctive gesture? Do you rehearse and plan your gestures? Sometimes the natural, instinctive gestures are the most powerful, however, there are other times that may call for a more intentional, rehearsed gesture, or even times when no gesture at all is the course of the day. The President of our company, leaned back in his chair, clasped his hands behind his head and said, more to me, than the room, “THAT is the first time I have EVER understood technology!” Suddenly that petrified sixth grader wanted to jump for joy, wanted to slap high five with someone, anyone. Even now as I write this, I get chills. How did it happen? How did we get our point across? An image…permit me to go back in time a bit. This was a company that made multi-million dollar decisions every day. How did they get comfortable with the risk versus the reward? They used a very tried and true process. The development group would envision a project, do their research and then build what was called internally “an Investment Memo”. The Investment Memo had 20 or 21 distinct sections, The Executive Summary, the elevation drawings, market surveys, risks, financial proforma and others. What if we put the strategic plan in the form of an Investment Memo? We could use the analogy that building IT systems are like building a building. But…no one on my team, myself included, had ever written an Investment Memo, we didn’t even know all the sections or the lingo. I reached out to a coworker who worked in the construction department. He had an interest in IT, was young and passionate. Would he help me? It is true, an image IS worth a 1,000 words (or, in this case, several thousand words). A few years after the strategic plan presentation, as I explored the #RooseveltRiver, time and time again I discovered Theodore Roosevelt understood this, as well. Sometimes he created the images, sometimes others created them, but he always leveraged them. On a hunting trip, he and his group came upon a small bear chained to a tree. Even at the urging of some around him, he would not shoot the bear. Within days the image of the Teddy Bear was all over the press. During a speech he quoted an African proverb about “walk softly but carry a big stick”. The next day hundreds of people turned out at a speech carrying baseball bats and clubs. Later as he introduced the “Square Deal”, held up scales to convey he wanted all people to have fair deal and make a fair wage. These images were burned in the minds of his constituents. 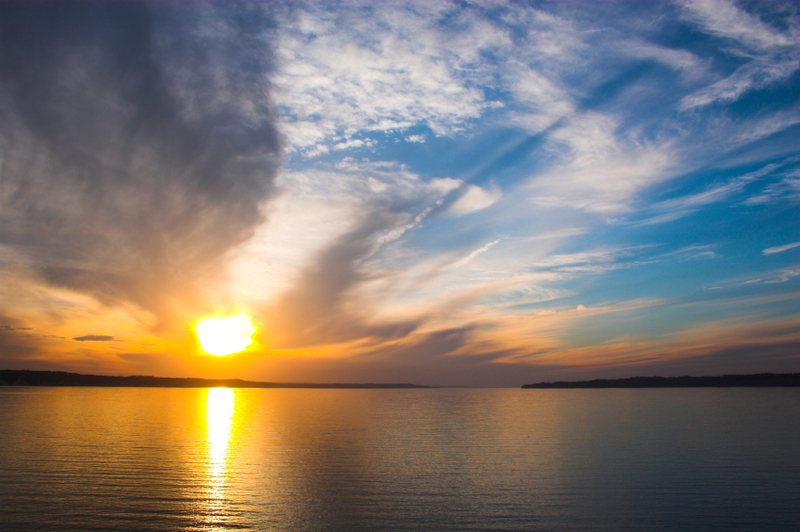 Images can be a powerful tool. They can be intentional, as in the case of the scales, or unintentional like the Teddy Bear. What images are emblazoned on your mind? What images can you use to communicate to your team? to your peers? to your management? What intentional images can you create? What un-intentional ones can you leverage to get your point across? 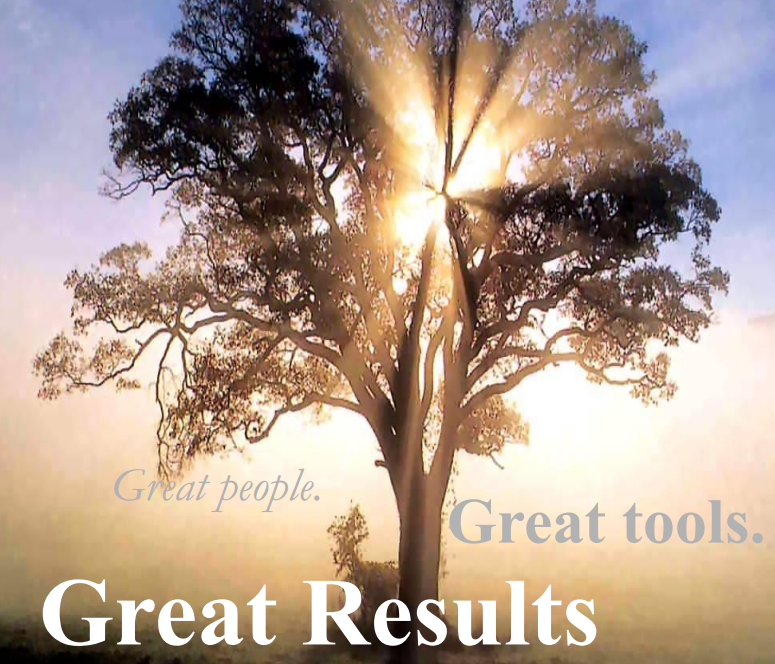 What makes great leaders great? Is there a moment, an event, that you can point to and say “this is when they became great”, or “this is when they made history”, or even “this is when they became presidential”? Is there a catalyst, an event, where they stand up and lead? Meriwether Lewis was Thomas Jefferson’s secretary, William Clark was hanging out in a cabin in the southern Indiana territory (sorry, I HAVE to throw my heroes in the mix, I know they weren’t presidents), Lincoln was a no-named lawyer from Illinois, Benjamin Harrison played ostrich and stuck his head in the sand for the first two years of the civil war, Roosevelt was considered for the head of street cleaning in New York, and Eisenhower was a mid-level officer primarily known for being a good football coach. What happened? How did they end up in history books? Why are we (read “me”) still talking about them 50, 100, and 200 years later? Over the last several years, I have studied all of the above to one degree or another. Two keys stand out for me: First, the ability to see things in a grander scale, let’s call that vision, though its more than that, as we will see. Second, the ability to engage with people at an individual level, while at the same time engaging with people en masse and to obtain buy-in. Vision: Great leaders see things that others don’t see. They see order, where others see chaos. They see patterns and correlations where others see unrelated events. They are more comfortable with a blank slate, than with the status quo. Let’s use Roosevelt as an example (Hey! It IS the Roosevelt River after all!). Here is a man who struggled with the decision to enter public office as the head of the street cleaners in New York (hardly a presidential role), yet in a few short years he became, Chief of Police, then Governor, and then Assistant Secretary of the Navy (and eventually a Vice Presidential Candidate and, as we know through history, President of the United States). The Navy Roosevelt inherited was not even a foreshadow of the elite force we know today. All of the Armed Services were still decimated from the Civil War just a few decades removed. Yet, instead of following the status quo, Roosevelt saw the opportunity as a blank slate. Instead of focusing inward on our own shores, Roosevelt saw the United States as a rising world power and the Navy as a key component of that rise. 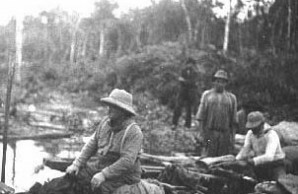 Roosevelt developed the Large Policy, policy that defined plans for a canal to allow traffic from the Atlantic to the Pacific, fueling stations scattered throughout the world for new battleships, and the relationships with foreign powers that would have to be built to support this grand strategy. Buy-in: That innate ability to engage with some people on a very personal, a very intimate level, to develop a team and have that team follow them anywhere, even to face death (oops, getting ahead of myself here), while at the same time, engaging the masses (if not the powers-at-be) all to achieve the vision, the grand strategy, the Large Policy. As Roosevelt’s political career blossomed after the war, he was able to engage the populous. 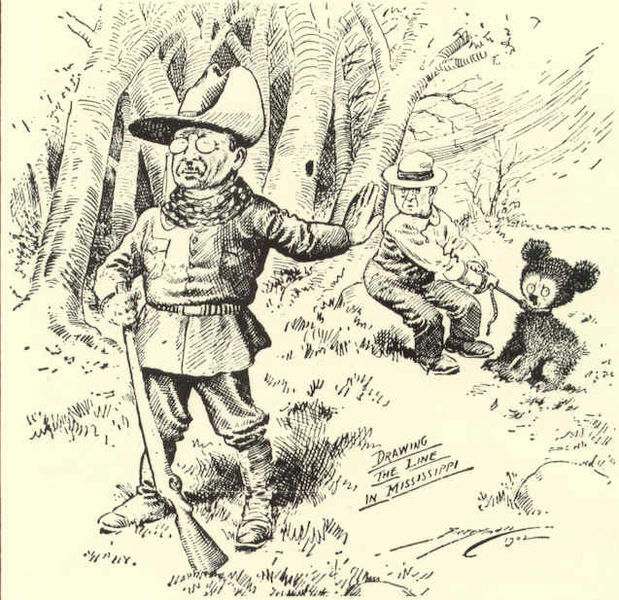 Through imagery (like the Rough Riders, the Teddy Bear, the “big stick”) he engaged with the common man. It enabled him to gain the presidency and it enabled him to implement parts of his Large Policy even against some very powerful political adversaries. Did they see the vision of Roosevelt? Did they see the correlations and trends? I seriously doubt it. Again, they believed in Roosevelt, believed he cared about them, believed he spoke for them. So is it a point in time? Is it a single event? Is it a catalyst that catapults some to greatness? No…it is having the vision and the buy-in so that the point in time, the single event, the catalyst is recognized for what it is (or created) and leveraged.